Looking for holiday menus or holiday party inspiration? Browse our Holiday Lookbook! 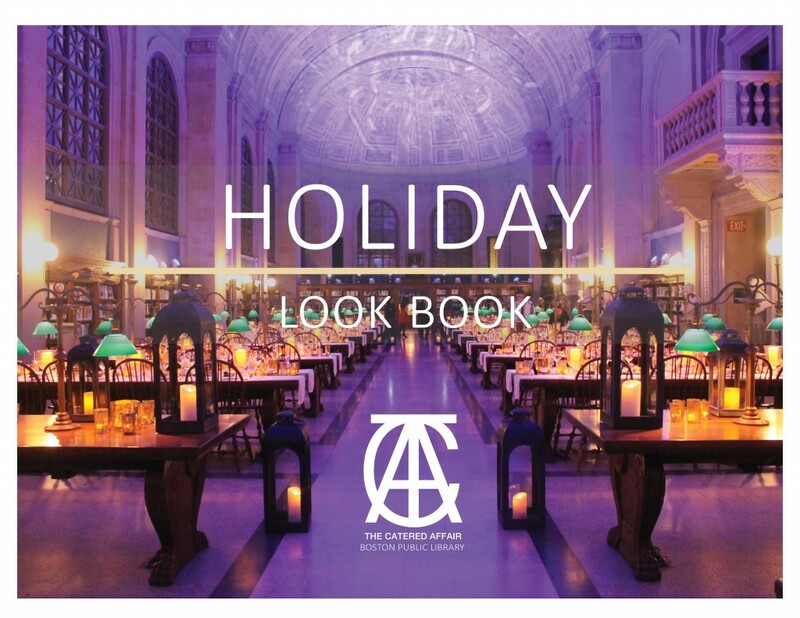 Packed with unique holiday party themes in one of Boston’s most unique venues, The Catered Affair at the Boston Public Library is sure something here will inspire you. Explore some of the spaces in this historic and stunning McKim Building or whisk your team away to a snowy and modern city night in the newly renovated Johnson Building. There are plenty of spaces, configurations, and rooms available for you and your team. Call us today at 617.859.2282 to learn more and click the image below to explore.